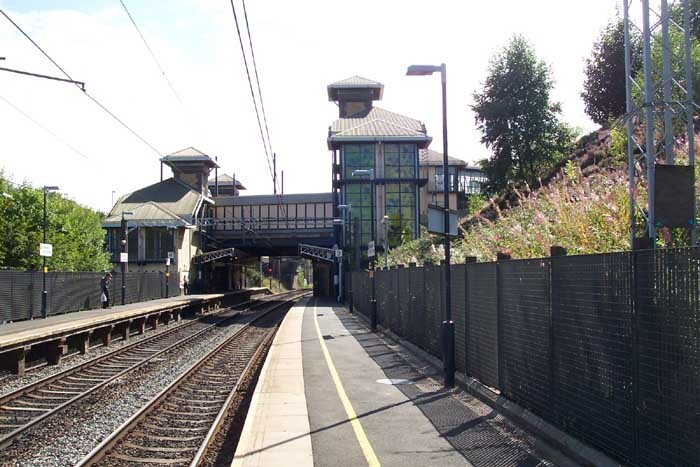 I'm not one for eulogising about architecture, particularly given the state of many of the region's stations, but Smethwick Galton Bridge Station is an exception. 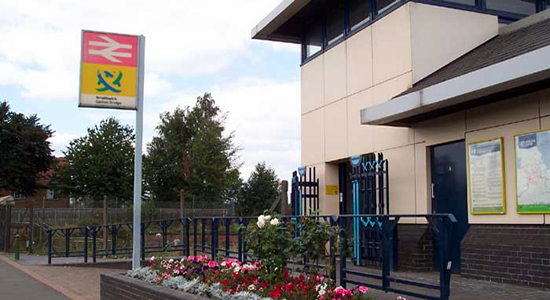 Opening in 1995, the station is a high and low level concern with the low level catering for the Coventry - Wolverhampton line and the high level catering for the Hereford - Stratford- upon-Avon services. Apparently designed with a colour scheme to reflect the locally produced Ruskin Pottery, the station really is an impressive structure as you will see below. 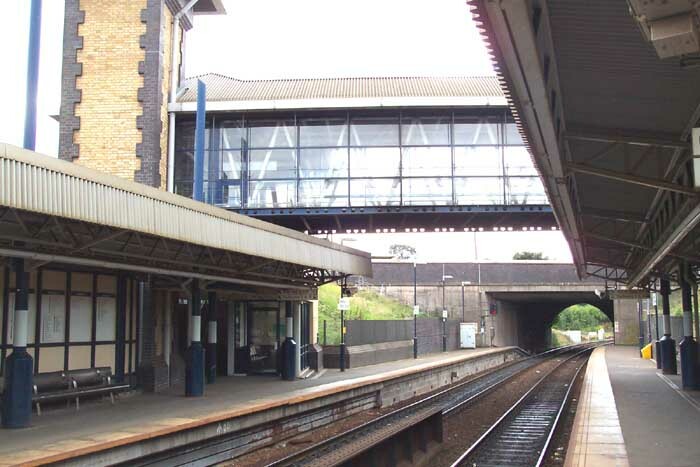 Above-left we are on platform 1 of the high level part of the station looking towards Stratford - note the use of glass in the design and also that the line is not electrified. 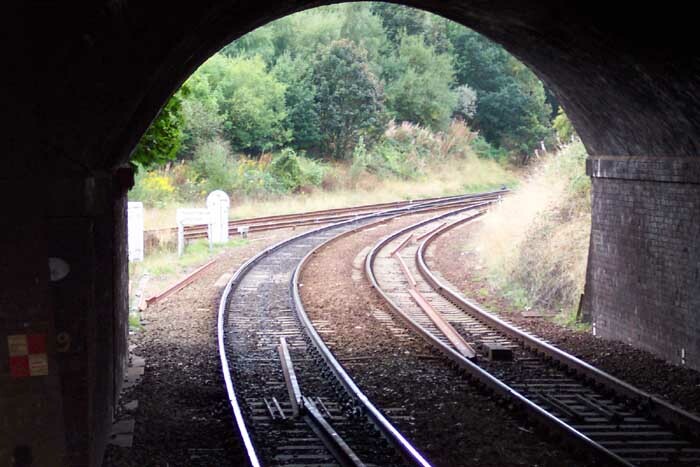 Above-right we have moved to platform 2 and are looking towards Langley Green and the Oldbury Road bridge. Above-left we are on the low level part of the station as an EMU pulls out on a Wolverhampton-Coventry service. The photographer is standing on platform 3 looking across at platform 4. Above-right we are high level again at the end of platform 1 looking through the Oldbury Road overbridge at Smethwick Junction as the lines curve away towards Langley Green. 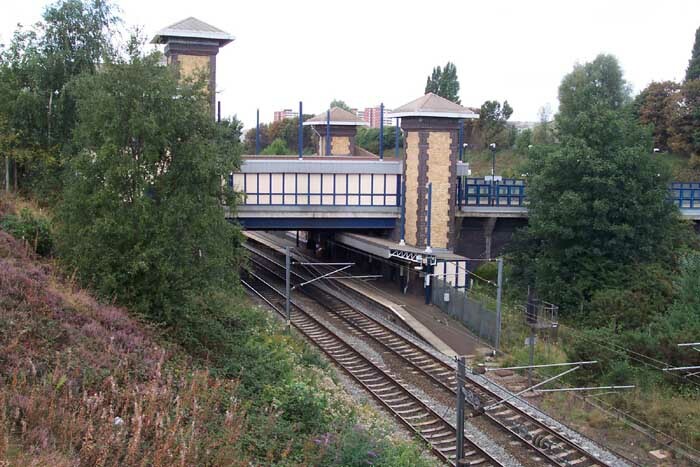 Interestingly, the now disused Smethwick Junction station is just out of view around the bend which closed due to the opening of this prestige station. 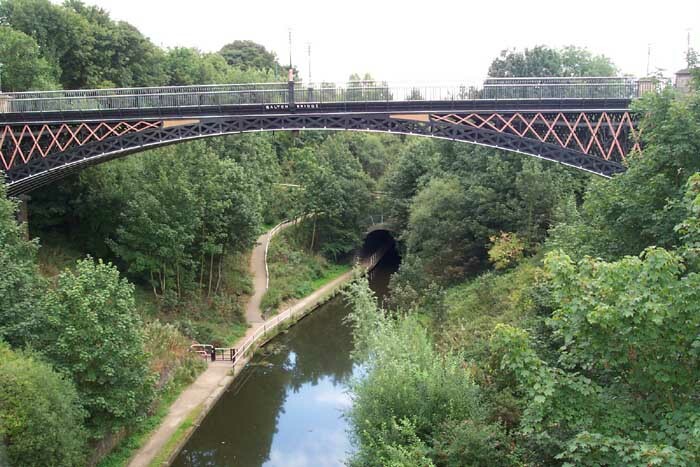 Above-left we are actually on Telford's Galton Bridge as it gives the best perspective of the relationship between the low and high level sections of the station in the Galton Valley Conservation Area. 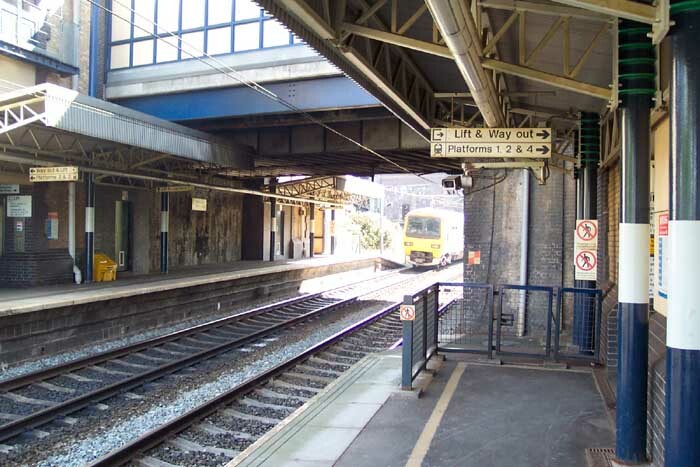 Above-right we are on platform 3 (low level) looking back at the station - the large tower to the right is the hub of the station giving access to all walkways and the main entrance via the system of overbridges. 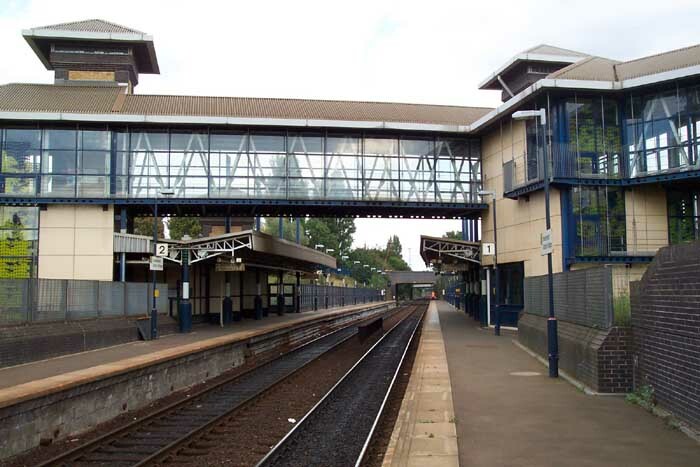 Telford's Galton Bridge viewed from platform 3. This is one of the few stations I have encountered on my travels that I would actually recommend people go and have a look at - you won't be disappointed.